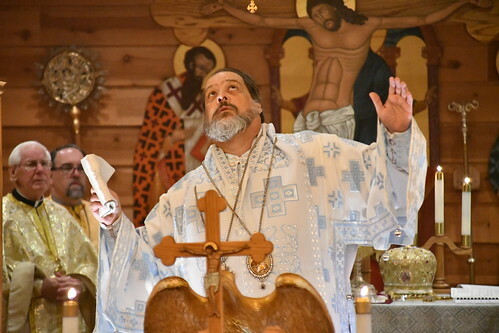 JOHNSTOWN, PA -- With gratitude to Almighty God, the clergy and the faithful of the American Carpatho-Russian Orthodox Diocese extend their heartfelt congratulations and best wishes, today - November 27, 2018, to His Eminence, Metropolitan Gregory of Nyssa on the sixth anniversary of his Consecration and Enthronement as Ruling Diocesan Bishop. Today is also His Eminence's Name's Day, St Gregory Palamas, as celebrated on the Julian Calendar. The past six years have been a joy for the clergy and the faithful of the Diocese as they have worked together with His Eminence in the Vineyard of the Lord. His Eminence has continued his travels throughout the Diocese while being called upon to conduct numerous retreats and lectures within and outside the Diocese. His Eminence has represented the Diocese at numerous Inter-Orthodox and Ecumenical gatherings. Metropolitan Gregory's six years of service as Bishop has been marked with additional responsibilities related to his duties as Chairman of the Committee for Agencies and Endorsed Organizations of the Assembly of Canonical Orthodox Bishops of the United States of America, as Episcopal Liaison to t he Orthodox Christian Fellowship (OCF). and as Secretary of the Assembly of Canonical Orthodox Bishops of the United States of America. 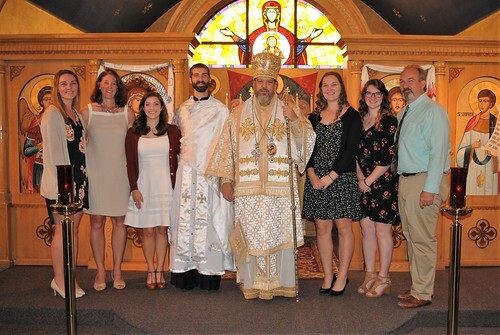 While assuming these additional responsibilities, His Eminence has continued to make the spiritual care of our Diocesan faithful, and youth in particular, his top priority, attending all Junior and Senior ACRY Youth meetings and events and once again actively participating in the entire three week Summer Camping Program at Camp Nazareth. In recognition of his worthy labors as Bishop, His Eminence, Metropolitan Gregory was elevated to the rank of Metropolitan by the Sacred and Holy Synod of the Ecumenical Patriarchate of Constantinople in August of this year. On this milestone in His Eminence's ministry in the Vineyard of the Lord, the Diocesan Chancery Staff, the Faculty and Students of Christ the Saviour Seminary, and all the Clergy and Faithful of the Diocese, lift up their voices in prayers of thanksgiving, beseeching Almighty God to Grant Metropolitan Gregory Many More Years of Good Health, Happiness and Salvation as their Father in Christ and Bishop. Eis Polla Eti Despota! Many Years to You Master! Mnohaja Lita Vladika!